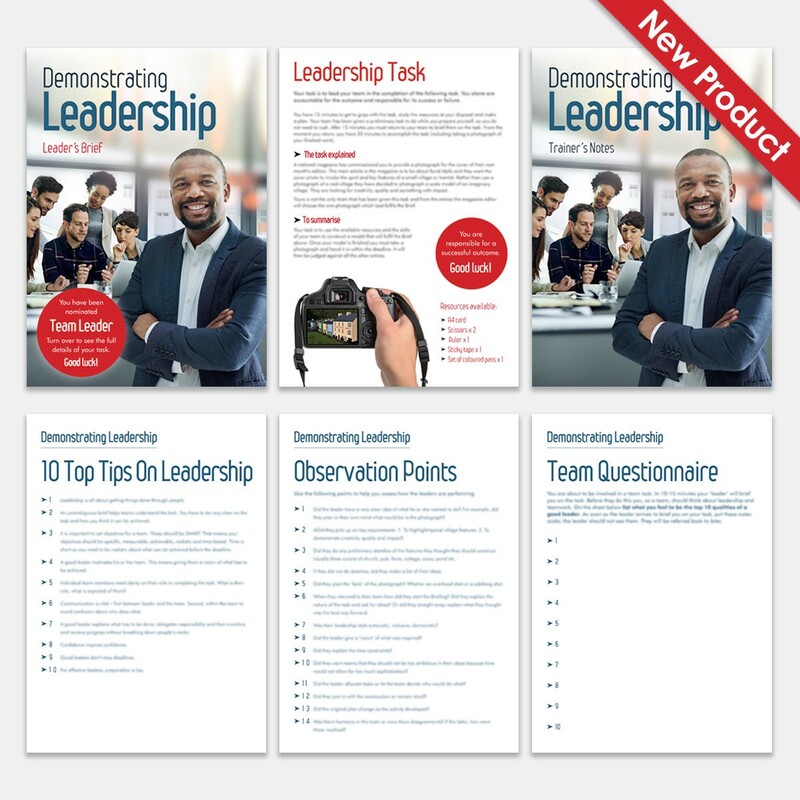 This activity allows participants to observe leadership attributes in action - in a fun and competitive task. Leaders and team members alike can all focus on what it takes to be an effective leader. 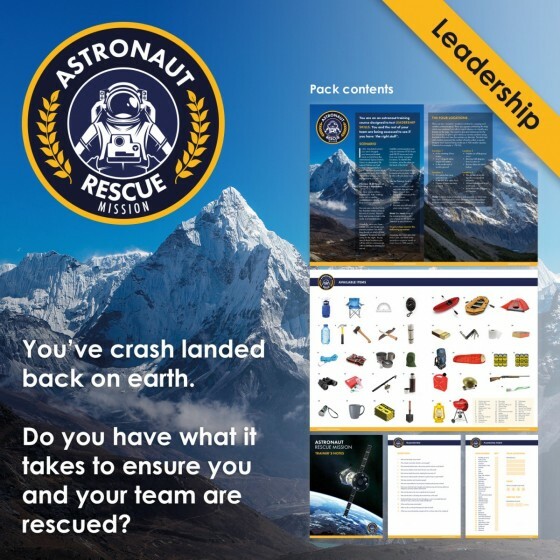 Each team chooses a leader who is then given a Leader's Brief (away from their teams). 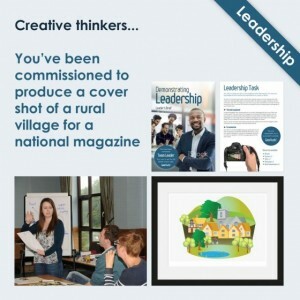 A national magazine has commissioned teams to provide a photograph for the cover of the magazine’s next edition. 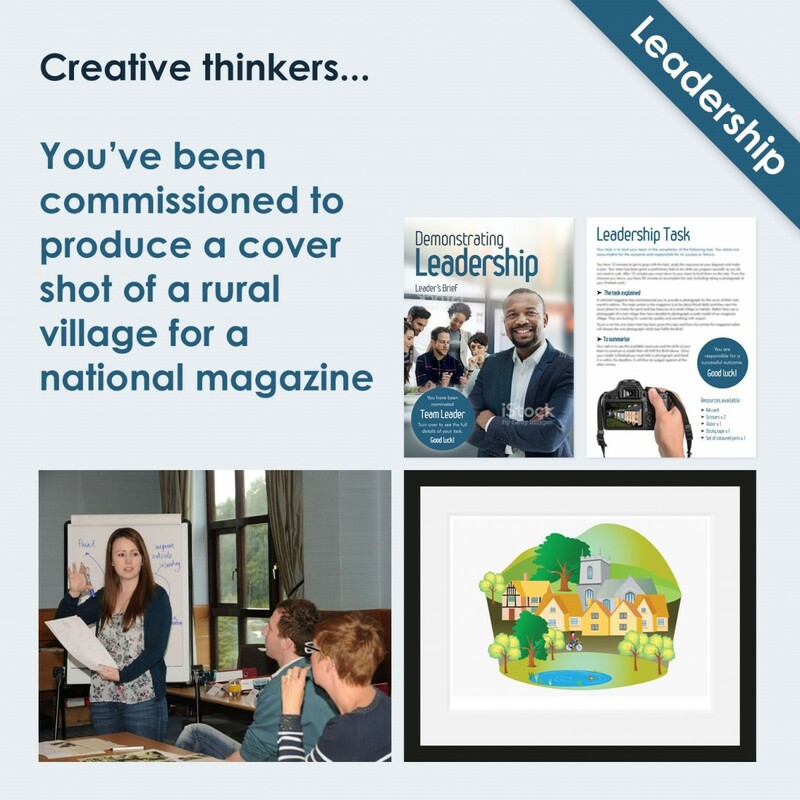 The main article is to be on Rural Idylls and the image on the front cover should aim to invoke the spirit and key features of a small village. Rather than photograph a real village the magazine requires a photograph of a scale model that will highlight typical village features. They are looking for creativity, quality and something with impact. Leaders have 15 minutes to consider their leadership task and are given a set of resources; coloured card, scissors, ruler, sticky tape and colour pens (all supplied in the pack). Meanwhile, team members complete a Questionnaire about the attributes and skills they expect from a leader (including what they expect from themselves when performing a leadership role). The questionnaires are then put away and kept for later when teams review their leader's - and their own - performance. Leaders now re-join their teams and have 45 minutes for the task. Have they planned everything in their own minds and simply TELL their team exactly what to do? Or do they ask for the team’s ideas? Do they listen to their teams? How do they motivate the team to get the best from them? What is their overall leadership style? And what about the teams - do they fully support their leaders? Does he/she deserve their support? 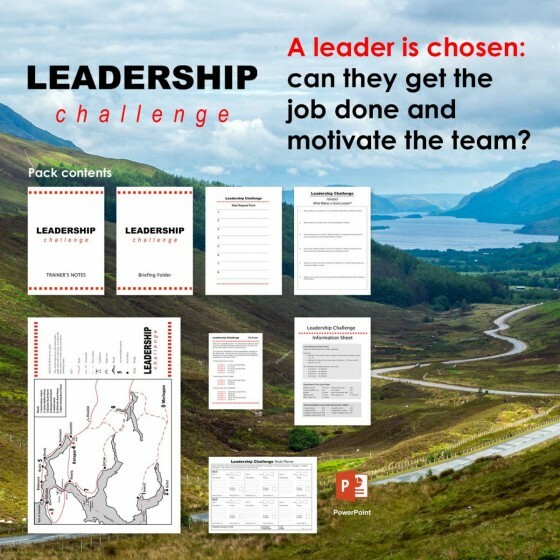 During the task there are Observation Forms with a checklist of skills to look out for in the leaders AND in the team members. The form, for the Facilitator, makes the Debrief easier but you can have participants designated as ‘observers’ which is useful for big groups. At the end, the models are photographed and a group vote decides the winner. At the debrief the skills and attributes demonstrated are discussed. What were the differences in approach? Did the best photo come from the ‘best’ leader? Did the ‘best’ leader have the ‘happiest’ team? Plenty to discuss! A handout, 10 Top Tips, for teams to take away is issued at the end and rounds off the session. NB it can also be given to some or all the leaders at the start, to aid their preparation (see Trainer’s Role below). 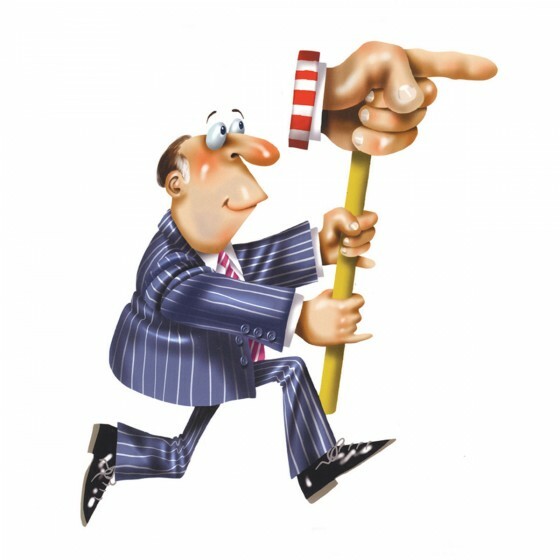 Do the recipients of the top tips outperform the other leaders, or not? Introduce the activity by saying it allows for leadership skills to be demonstrated and assessed. Divide the group into teams, typically 3-6 per team, and ask each to choose a leader. 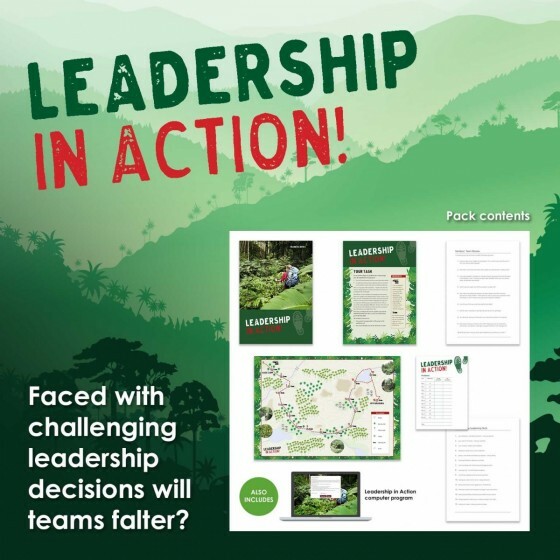 Away from the teams issue leaders with a copy of the Leader's Brief (and the handout 10 Top Tips if using for some of the leaders) plus a set of Resources. Meanwhile issue a copy of the Questionnaire to each team. 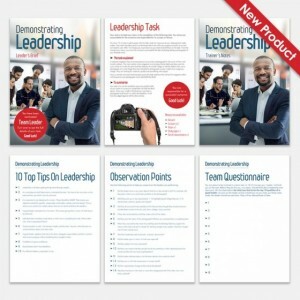 Allow 10-15 minutes for leaders to consider the Brief while teams complete the Questionnaire. Leaders return to their teams, brief them and lead the task. Observe the team leaders - and team performance - using the Observer's Form. At the end ask teams to photograph their models. Lend teams a phone if necessary. Display the photos, if possible on a large white board or similar. Discuss the merits of the photographs. How well do they link to the objectives? Allow teams to vote for the best one. Conduct a Debrief focusing on the leadership skills demonstrated, the teams' contribution and how the mix within each team affected the end result - the photograph. Issue the 10 Top Tips for individuals to take away and use back in the workplace. I used Demonstrating Leadership with a group who had a great discussion on the key characteristics of a good leader before their leader arrived to brief them. They then worked on the task and afterwards they assessed the leader by their own criteria which they had worked on at the start. Very good and revealing discussion that helped everyone get to grips with how to lead!